Well, I loved London Can You Wait, not so much London Belongs To Me, and this book falls in between. I guess I was spoiled with LCYW, its a hard book to live up to, I loved it so, so much. We get cameos of characters from the other books here, but its a story in its own right, and you can read it without having read the other two. Riley seems to have everything, mother who loves and supports her, dashing boyfriend, who’s set to break into the big time, and her own career plans going well. Like always though its what’s under the surface that counts. Riley’s mum is very ill, Josh isn’t quite the wonderful man he seems and Riley is struggling financially. And then Ben crashes into her life. Its a slow burn romance, there is no cheating, and for a long time Ben and Riley are just very good friends. You can feel there’s that simmering attraction, but they both know where to draw the line. I like that, hate the “we just fell in love” excuse so often used. Here they hold back on feelings, wait til relationships are sorted. Thats’ so much better than the cheating we often see, that leads to heartbreak all round. I loved Ben, a fabulous character, very unassuming, very natural in a world where everyone is presenting a false face. That’s the nature of acting, its difficult to see the real person behind the facade. He’s a long way from fame yet though, struggling as so many do, holding down other jobs to make the rent. Riley is a great lead too, so genuine, she’d do anything for her friends and adores her mum. Her mum’s illness hits her hard, but with the support of Ben and her friends she’s managing. I loved how tBen and Riley interacted, how her friends were so supportive, listening when needed, but pushing her when that was essential too. Those are the best sort of friends to have, those who don’t just sit back, but give you that shove into the scary zone when you need it. I mentioned in another review recently I am getting a little tired of the gay best friend thing…..it seems every romance has to include one now, and they all seem born from the same mould 😦 very stereotyped. What about a gay best friend who’s 6ft4, and a big, burly rugby player? Think there’s not one ? Think again, my eldest son works with a guy just like this. Its a great story but doesn’t quite have the magic of LCYW, but has all the drama and sad bits that I love. Its got lots of side plots too, and for me that really adds to a story, makes it feel more rounded, and of course they too have their own dramas and tensions, and I’m all about that! There’s a section that really surprised me, something Ben did that was so wonderful and unexpected. How many of us would do that? Then when more secrets come out I understood a little more about why he felt drawn to do this. It just made me love him more. 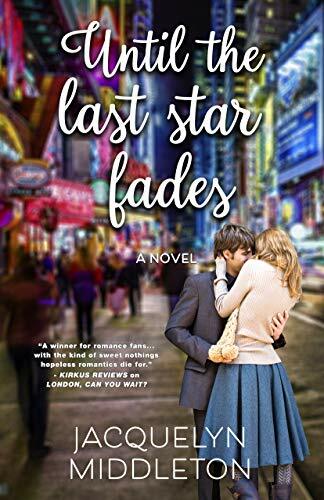 Stars: Four, a story I really enjoyed, not quite up to LCYW for me, but well worth reading if you enjoy a romance with real people, genuine plots, not ladies that make the most idiotic decisions and monosyllabic lead males….Sadly the romance trope is dominated by them, when real stories, well written ones like this, that feel as if they could happen need more attention and applause.